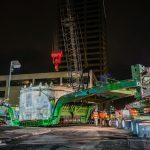 Tunnel Boring Machines take effort to move. These massive pieces of equipment are designed to bore under some of the most difficult conditions possible, and their weight shows it. Of course, they also have to be placed just right to do their job. 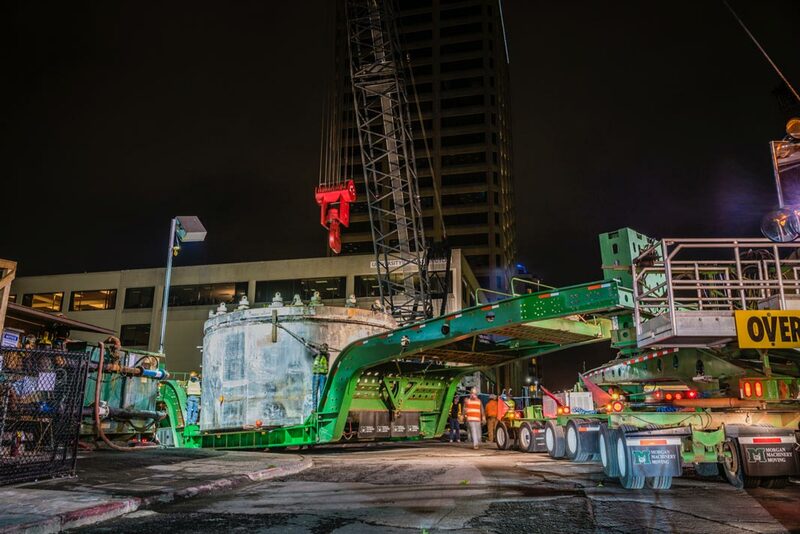 Omega Morgan’s specialized transportation team in our Seattle office partnered with contractor JCM Northlink to move a tunnel boring machine designed to expand public transportation within the city. The goal: allow train access to Husky Stadium for football fans and other events. 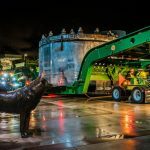 To say that tunnel boring machinery is heavy would be an understatement. It is also immensely bulky. 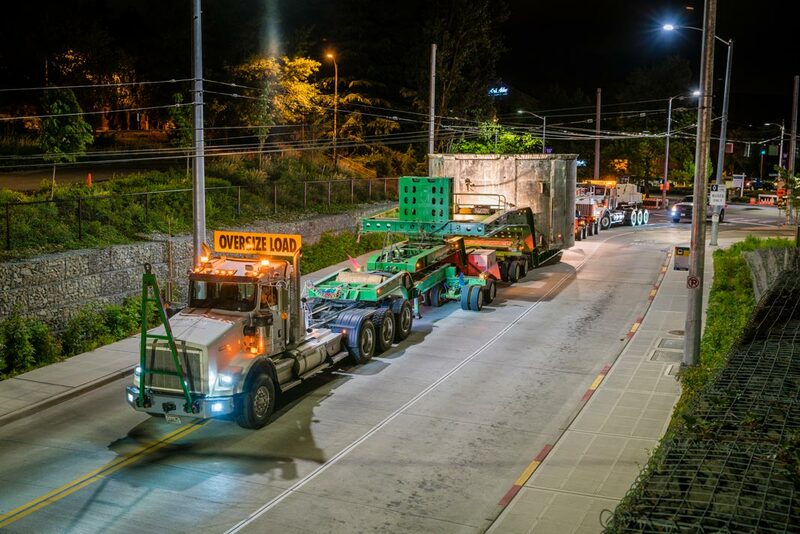 The machine components we transported weighed between 112,000 and 248,000 pounds, each at least 21 feet long and up to 13 feet high. Using this machinery, Seattle Sound Transit built several new tunnels around Seattle for mass transit, which included access for a train to and from Husky Stadium. 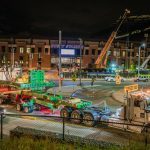 Though tunnel boring machines are typically designed for single use, this one had to be transported not only to the initial site but also to its second access point for a second job. The transport required moving through downtown Seattle, where heights are often limited. Without careful planning, pedestrian bridges and guidewires would become serious issues that could be difficult to overcome. 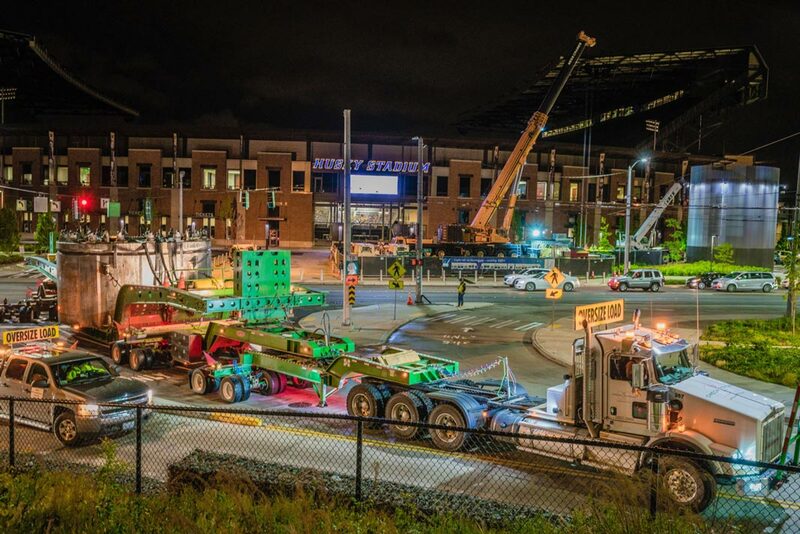 Making matters worse, Washington DOT was unable to allow equipment staging prior to the transport. As a result, any movement would have to take place immediately after loading. Specialized transportation projects can be very complex, requiring significant planning and this one proved to be especially difficult. Only our extensive experience in both the Seattle area and with equipment of this size allowed us to pull it through without issue. First, we had to minimize disassembly of the individual equipment due to timing and usage problems mentioned above. That, in turn, required the use of our specialized, modified low-profile rails with only 20 inch clearance above ground. Thanks to this set up, Omega Morgan was able to clear the low trolley lines and pedestrian bridges all across downtown Seattle. Timing was also of the essence. 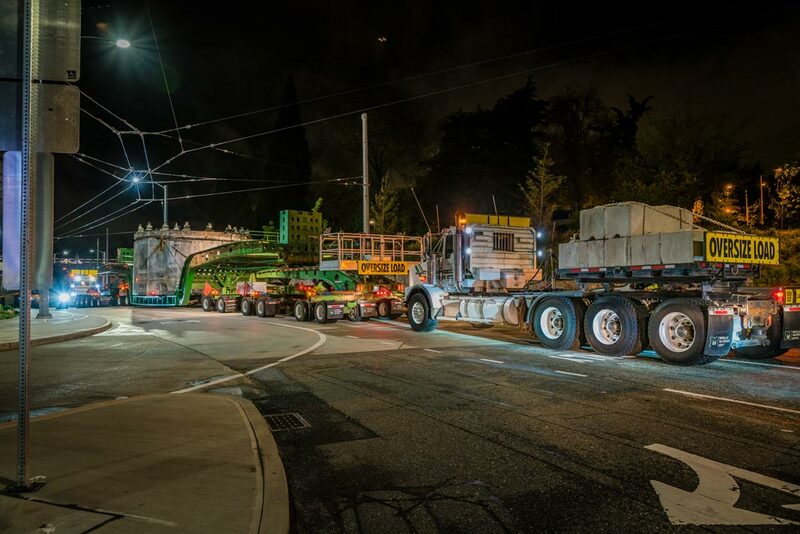 Because of a lack of staging allowance, the load and transport had to occur consecutively within the same night. 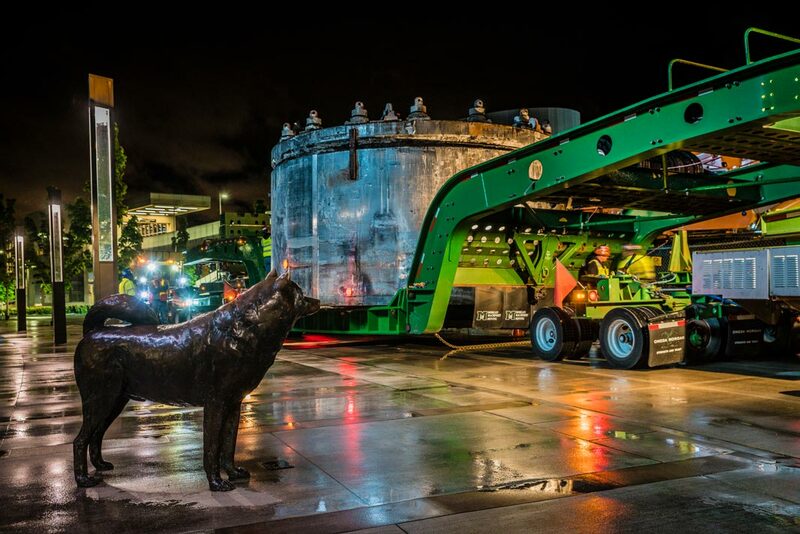 The client also asked for the machines to be used twice, for both the north and south tunnel to Husky Stadium. That turned one haul into two. It also meant avoiding disassembly as much as possible for quicker turnaround. In other words, the end result had to be clear before Omega Morgan put its trailers on the road. Through careful planning, the crew was able to complete the mission without complications. The importance of public transit, especially in cities like Seattle, makes us proud to work on projects such as this. In all, Omega Morgan completed both hauls in two nights with limited hours, using our specialized dual lane trailers. The result was more than just a satisfied customer. It was an important contribution to both public transportation in general, and access to one of Seattle’s most important sporting event sites. By going above and beyond, Omega Morgan was able to secure the goodwill of not just JCM Northlink, but Washington DOT in the process.